Tic-tac-toe Collection is now available to download for iPhone and iPad on the App Store. All existing game modes and features are available, including cross-platform multiplayer. Prime is not yet supported, but will be coming soon. Fixed some screens that did not with certain regional settings (including Arabic and Thai). 0.15 brings a new flow for starting or loading a game based on other games. It is currently accessible from the load game page, as well as relevant items on the main page, and provides a number of options depending on the source. First is quickplay, which is always available. This lets you start a new game with all human players, or one human player and AI of a specified difficulty. Setting up a new game (with the normal setup options) is also always available. If it is a campaign game, you can continue the campaign. You can also load the game as a normal game (this won’t affect campaign progress). If the game has existing game data (i.e. 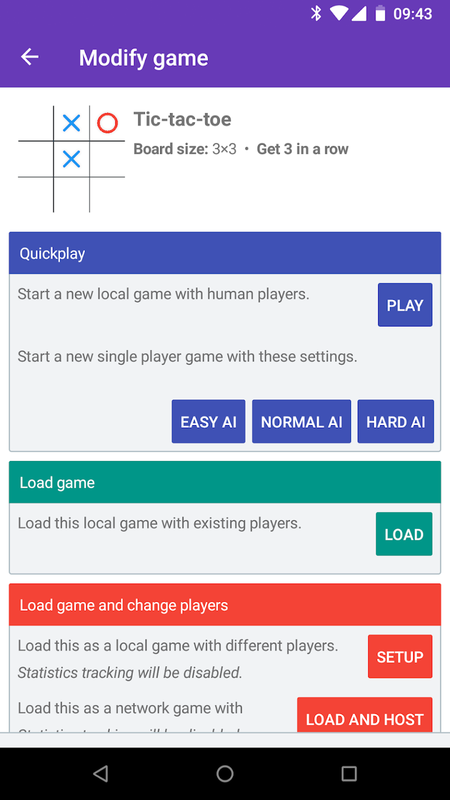 you are loading a game) then you can load the game but edit the players. This could be useful if you were playing against a human and want to continue with the AI for instance. Finally, all these options can be used for local games and network games. This was a big part of the motivation since network games can normally only be continued with the exact same devices. If you need to continue with a different device, you can load and host the game and then change the players. This is all part of a wider effort of general quality-of-life improvements. The next thing will be a revamped game selection screen which will make significant use of the new game buttons.